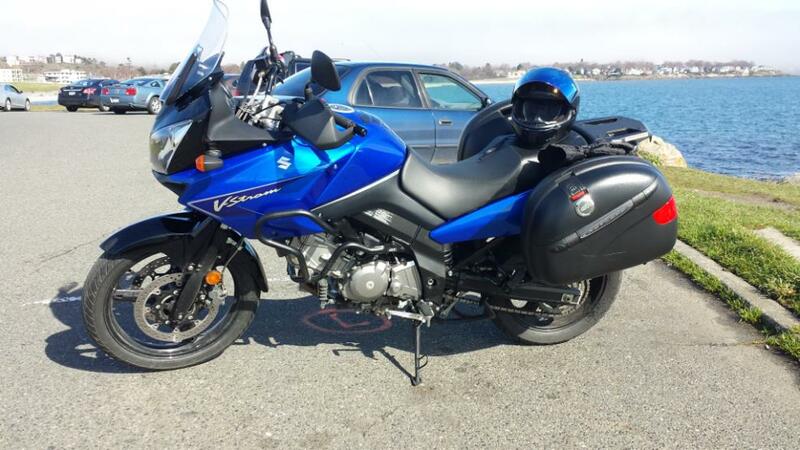 Stromtrooper Forum : Suzuki V-Strom Motorcycle Forums > V-Strom Forums > Information Vault > What V-Strom(s) do you have? View Poll Results: What V-Stroms do you own? What V-Strom(s) do you have? If I do this right, more than one choice may be made but I see no way to allow those owning more than one bike in one category to account for more than one. Not at the same time, but twice 2008 V Strom 1000 and then 2006, 2008 and now 2010 ABS 650. All 5 of them in the last four or five years. Last edited by Rick123; 06-20-2014 at 04:26 AM. It's easy to tell some people have more than one as the total of percentages right now is 115%. 2007 DL650 New rider, first bike! Before this gets out of hand, please just take the poll above. There is no need to post the info. This is not a discussion forum. But we just love to chat . . .
PS, '09 DL650 with the works. First bike in 31 years and I've already put 20,000 kilometres on it. Happy as a clam . . .
Rides2Work and John David like this. We have 2x 2011 wee's but I can only record 1. My wife is not on the forum. Should the K7 650 (4 plugs, etc.) be moved to the K8 - L1 group? I have it separated by changes in the charging system. I'm hoping to get a better idea of the count of the bikes by electrical output as well as model.